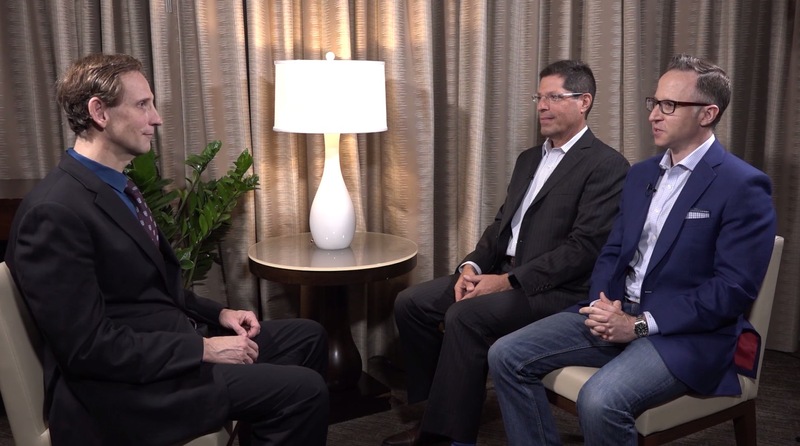 Darius M. Moshfeghi, MD, pulls up a chair with Retina Today medical editors Allen C. Ho, MD, and Robert L. Avery, MD, to discuss treatment regimens for patients with wet age-related macular degeneration (AMD). Tune in as the three surgeons review the pros and cons of continuous dosing and treat-and-extend approaches. Below are listed the studies mentioned by Dr. Moshfeghi in this interview. MARINA: Rosenfeld PJ, et al. N Engl J Med. 2006;355(14):1419-1431. VIEW 1 + 2: Heier JS, et al. Ophthalmology. 2012;119(12):2537-2548. VIEW 1+2 – 96 Weeks: Schmidt-Erfurth U, et al. Ophthalmology. 2014 Jan;121(1):193-201. CATT – 1 Year: Martin DF, et al. N Engl J Med. 2011;364(20):1897-1908. CATT – 2 Year: Martin DF, et al. Ophthalmology. 2012;119(7):1388-1398. CATT – 5 Year: Maguire MG, et al. Ophthalmology. 2016 Aug;123(8):1751-1761. HARBOR: Busbee BG, et al. Ophthalmology. 2013;120(5):1046-1056. HAWK and HARRIER: Dugel PU, et al. Ophthalmology. 2017 Sep;124(9):1296-1304. SEVEN-UP: Rofagha S, et al. Ophthalmology. 2013 Nov;120(11):2292-9. Peden MC, et al. Ophthalmology. 2015 Apr;122(4):803-8. HORIZON (Cross Over Data): Singer MA, et al. Ophthalmology. 2012 Jun;119(6):1175-83. PrONTO: Lalwani GA, et al. Am J Ophthalmol. 2009;148(1):43-58.e1.